Hey everyone! 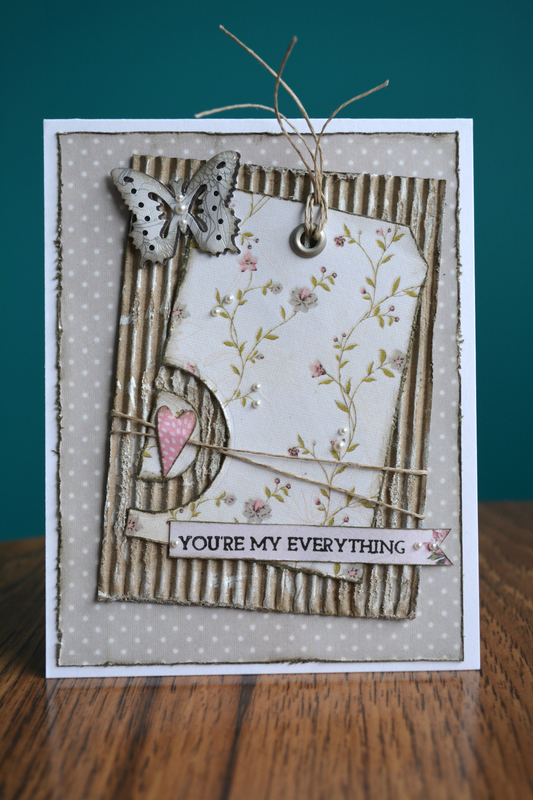 It’s been a very long time sense I have done anything with a “shabby” feel to it. This card was a fun challenge for me. I started with Kaiser Craft the lake shore collection and cut my back panel. Traced a standard shipping tag and cut it out. I then ran the two smallest dies out of the Spellbinders standard circles LG set to cut the semi circle out of the side of the tag. The heart is from a coffee cup die from Simon Says Stamp. I took a piece of corrugate and distressed then added some Golden Titanium white paint to it. 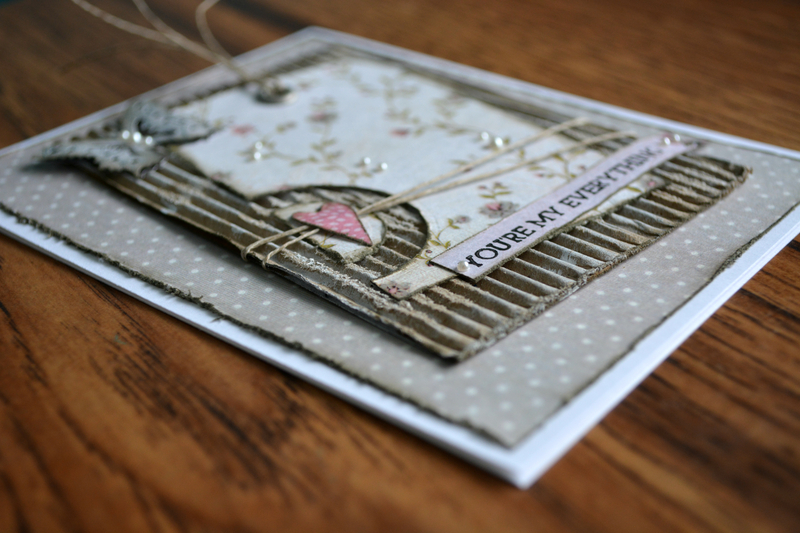 A little bit of twine and a few little pearls from Recollections finish off the card. The inside of the card has a simple Happy Anniversary stamped in it. 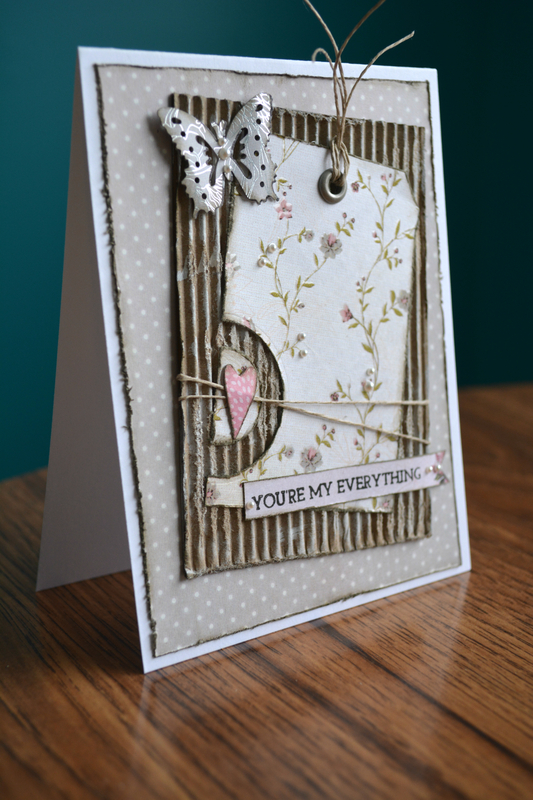 This is another pretty card. I have started playing with shipping tags. Looking forward to seeing what you create for tomorrow!